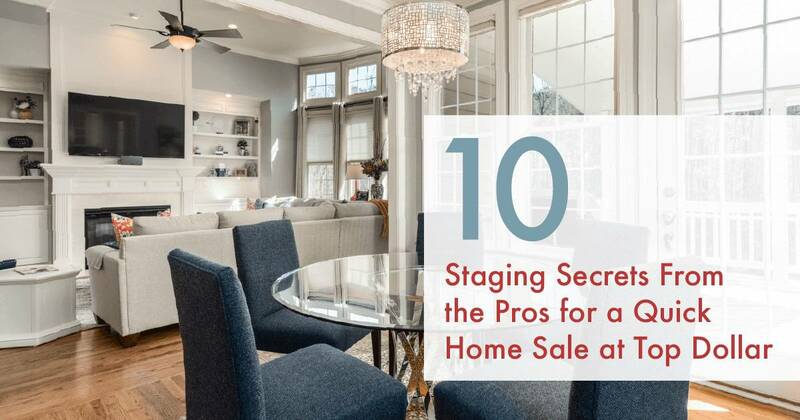 According to the National Association of Realtors, staging a home prior to listing it can result in a faster and more profitable sale.1 In fact, the Real Estate Staging Association estimates that professionally staged properties spend 73 percent less time on the market, receive more foot traffic, and typically sell for more money.2 Following are 10 tips you can use to get your home “show ready” prior to hitting the market. These easy and cost-effective ideas will help your house look its best—and help buyers visualize themselves living there. Even if you’re not currently in the market to sell, you can use these tactics to breathe new life into your existing home decor.If you are thinking of moving in the next 3 to 12 months, schedule a Free Consultation to help you decided which projects and upgrades are worth your time and money and which ones you can skip. Decluttering is typically the first thing we tell clients to do to prepare their home for sale. And according to the National Association of Realtors, a whopping 93 percent of agents agree.1 Decluttering is the act of removing excess “stuff” from your home to make it appear clean and spacious.Overflowing closets and cluttered countertops can make your house feel small and cramped. In contrast, sparsely-filled closets and clear countertops will make your home appear larger and assure buyers that there will be plenty of room to store their belongings.Don’t neglect drawers, cupboards and even your refrigerator in your decluttering efforts. Serious buyers will check out every nook and cranny of your home, so pack up anything you don’t use on a daily basis and store it off site. The same goes for jewelry, sensitive documents, prescription medication, firearms and other items of value. Store them in a locked safe or storage unit before opening your property to buyers.Make sure any items that remain are clean, tidy and well organized. The good news is, when it comes time to move, a large portion of your packing will be done! From carpets to bathrooms to appliances, having a clean home is a MUST. If you’ve ever checked into a dirty hotel room, you can imagine how buyers can be turned off by a home that hasn’t been thoroughly cleaned.If you have a large home, or are short on time, you may want to invest in a professional cleaning service. And if you have carpet, we generally recommend you rent a steam cleaner or hire a company to clean your carpets for you.In addition to cleaning, it’s equally important to neutralize odors in your home that can be off-putting to buyers, especially pet smells and cigarette smoke. If the weather allows, open your windows and let in fresh air. Empty the trash frequently, and especially before a showing. Avoid cooking any strong-smelling food such as fish or heavy spices. You may need to clean (or remove) drapes and upholstery if odors are particularly strong.Try to keep your home in clean, show-ready condition while it’s on the market. You never know when a potential buyer will want to drop by for a viewing. Your family photos and personal mementos are often your most treasured possessions. For many of us, they are what make a house a home. However, buyers will have a hard time envisioning themselves living in a place if it feels like YOUR home.Pack up any items that are personal to you and your family, such as photos, books, children’s artwork, travel souvenirs and religious items. Collectibles and excessive knickknacks can be distracting to buyers. Instead, keep your decor items minimal and generic to appeal to the largest number of buyers. Along those same lines, bold color choices may not appeal to all buyers. By incorporating a neutral color palette throughout your home, buyers can better visualize the addition of their own furniture and decor, which may contrast with your current color scheme.But don’t limit yourself to white and beige. Incorporating earth tones and midtone neutrals—like mocha and “greige” (grey-beige)—can add a touch of modern sophistication to your decor.3One of the quickest and most cost-effective ways to neutralize your home’s decor is with paint. Walls painted in dark, bold or bright colors can turn off buyers. A fresh coat of paint in a neutral color like greige (try Benjamin Moore’s Revere Pewter) or warm white (such as Kelly-Moore’s Rotunda White) offers a clean palette upon which buyers can visualize adding their own personal touches.4 If your sofa is worn, stained or has a bold pattern, consider purchasing a neutral-colored slipcover. Dated or overly busy window coverings should be taken down or replaced. Instead, bring in tasteful pops of color with throw pillows and accessories. Buyers often imagine hosting family gatherings in their new home, and the dining room plays a large role in that vision. If your dining room chairs are stained or outdated, you may want to recover them or use slipcovers. In most cases, an imperfect table can be camouflaged with a neutral and stylish tablecloth.Be sure the table is centered underneath the chandelier and on the area rug if you’re using one. If your dining room is small, remove all other furniture and leave only four chairs.8Dress up the table using nice tableware and cloth napkins or a table runner and centerpiece. For a long table, try lining up a series of small vessels down the middle. Lighting can have a drastic impact on the look and feel of a home. Few buyers seek out a dark house; most prefer one that’s light and bright. Make sure windows are clean, and open curtains and blinds to let in the maximum amount of daylight.Each room should have three types of lighting: ambient (general or overhead), task (such as a reading lamp or under-cabinet light), and accent (such as a floor or table lamp). Aim for a goal of 100 total watts per 50 square feet.11 If your mounted light fixtures are dated, replacing them with something more modern is an easy and inexpensive upgrade that can have a big impact.Strategically placed landscape lighting can add a dramatic effect to your home’s exterior. Welcome evening visitors with a lighted walkway, or use a spotlight to accentuate trees or other landscaping features. Solar lights require no wiring; simply place them in a sunny spot and they will turn on automatically at dusk. While your home’s interior often takes center stage, don’t forget about staging your home’s outdoor areas to help buyers imagine how they could utilize the space.Even a small patio can become a selling feature with the addition of a cafe table and chairs. Add a tray of plates and coffee cups to help buyers envision a peaceful breakfast on the back porch. Place chairs and wine glasses around an outdoor firepit or hang a hammock with a book in your favorite shady spot.3 These small, simple additions can help buyers visualize the possibilities your backyard has to offer. If you’re in the market to sell your home, this list provides a great starting point for your preparations. But nothing beats the trained eye and expertise of a real estate agent. Before you do any work, we recommend consulting a professional for advice about your particular property. We offer free, no-commitment seller consultations and will walk through your home with you to help you assess which projects and upgrades are worth your time and money, and which ones you can skip. Are you thinking of making upgrades to your home to get it ready to sell? Before you start any projects, get advice from a professional so you don’t waste money on projects that won’t produce a return, or are unnecessary because of current market dynamics. If you are thinking of moving in the next 3 to 12 months, Schedule a Free Consultation to help you decided which projects and upgrades are worth your time and money and which ones you can skip. 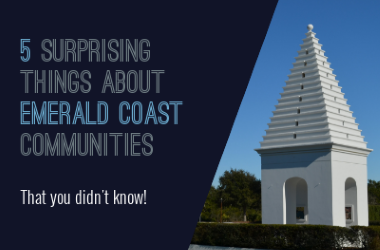 As local market experts, we are intimately familiar with buyer preferences in your area. We’ll run a comparative market analysis to find out how your home compares to others currently on the market, as well as those that have recently sold. Then we’ll tailor a custom plan to suit your particular property, budget and needs.